Your little flock of domestic chickens (Gallus domesticus) needs all the basics of life -- food, water, shelter and protection from predators. While you can scatter food in the pen and keep water available, providing a suitable shelter requires planning. Before you design your chicken coop, consider sun exposure, wind direction, your neighbors and the city planning department's setback requirements. Your climate determines whether your chicken coop should be located in shade, sun or dappled shade. Place the coop facing south, under or near deciduous shade trees, where it's in the shade during hot summers and receives the sun during the cold winter months. This reduces the amount of supplemental heat necessary to keep your flock warm during the coldest months. 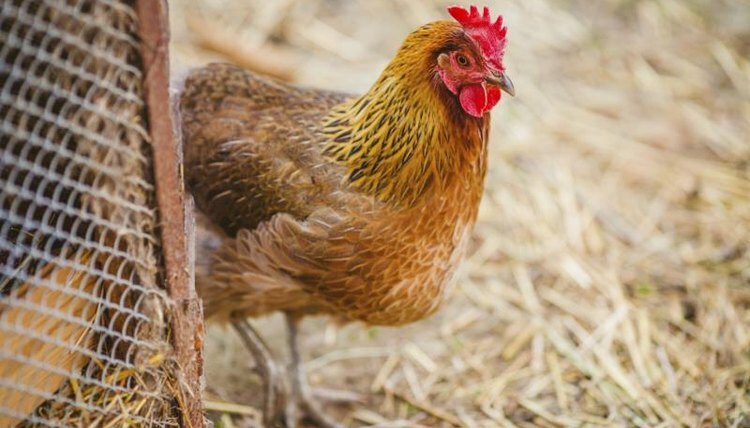 No matter where you place the coop, you and your chickens will appreciate a dry, sheltered location, where you can feed them, clean the coop and gather eggs without stepping in the mud on a wet day. Also, the coop should protect your flock from prevailing winter winds, while allowing ventilation during warmer months. Follow local building codes. Place the coop as far as possible from your neighbors' houses to forestall complaints. Also place the coop where you can protect it with a sturdy wood fence to keep neighborhood dogs away from your flock.